Whitmore is maybe two weeks away from his first work of the year, with the $150,000 Hot Springs Stakes March 9 at Oaklawn being targeted as the gelding’s comeback spot, co-owner/trainer Ron Moquett of Hot Springs said Friday morning. Freshened in Kentucky following a runner-up finish in the $2 million Breeders’ Cup Sprint (G1) Nov. 3 at Churchill Downs, Whitmore has been galloping since his return to Hot Springs early last month, Moquett said. Moquett said the Hot Springs will serve as Whitmore’s prep for the $400,000 Count Fleet Sprint Handicap (G3) April 13 at Oaklawn. Whitmore swept the Hot Springs and Count Fleet in 2017 and 2018. Whitmore, a 6-year-old son of Pleasantly Perfect, has an 11-7-2 record from 24 lifetime starts and earnings of $2,381,000. Moquett said his stakes-winning 3-year-old, Frosted Ice, is “doing well” and will return to the work tab about the time Whitmore does. Frosted Ice has won 2 of 3 starts, including the $150,000 Bertram F. Bongard Stakes Sept. 21 at Belmont Park to close his 2-year-old season. Moquett said Frosted Ice’s first major objective is the $1 million Rebel Stakes (G2) March 16 at Oaklawn. 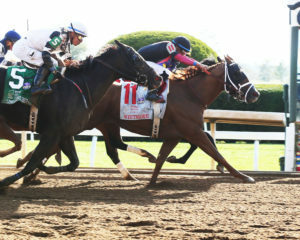 The Rebel is the final major local prep for the $1 million Arkansas Derby (G1) April 13. “We’ll just see if he’s ready enough to do something before the Rebel,” Moquett said. Moquett said multiple stakes-placed Petrov is about 10 days away from his first breeze of the year. 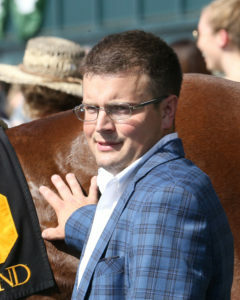 Moquett said Petrov will target an allowance race for his comeback spot, with the inaugural $200,000 Oaklawn Mile for older horses May 3 his major spring objective. Petrov hasn’t started since finishing sixth in the $200,000 Bold Ruler Handicap Nov. 2 at Aqueduct. “It doesn’t take very much to get him fit,” Moquett said. 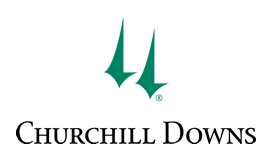 Trainer Jason Barkley is scheduled to saddle his first career stakes starter (Arch Avenue) in Saturday’s $125,000 Martha Washington for 3-year-old fillies, Oaklawn’s first of three major preps for the Kentucky Oaks. Barkley, 29, has already checked off one box this year at Oaklawn, winning last Sunday’s fifth race with Strolling ($8.20). It was Barkley’s first career victory in Hot Springs. Barkley, the son of trainer Jeff Barkley, wintered at Oaklawn for the first time last year and was blanked (0 for 16). He entered the 2018 Oaklawn meeting with one career victory – October 2017 at Keeneland – but finished the year with 11 victories overall. Barkley said he began the 2018 Oaklawn meeting with five horses. He now has around 15 and would like to continue to build his stable. 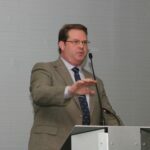 Barkley trains for several Arkansas clients, including Hot Springs restaurant owner Charles Jennings and Tri-Star Racing, LLC, headed by Rich Robertson of Camden. Tonbo, a recent private purchase by Tri-Star, was a three-time winner for Barkley last year before he lost the gelding through a $5,000 claim in September at Churchill Downs. Tonbo is entered in Saturday’s third race. A graduate of the University of Louisville’s equine business program, Barkley was tutored by several high-profile trainers before striking out on his own, including Hall of Famer Nick Zito, Joe Sharp and Wesley Ward. Arch Avenue, a winner of 2 of her last 3 starts, is 10-1 on the morning line for the Martha Washington. Calumet Farm’s Bravazo will return to the track Saturday morning to begin preparations for the $12 million Dubai World Cup (G1) March 30 at Meydan Racecourse in the United Arab Emirates, Hall of Fame trainer D. Wayne Lukas said Friday morning. 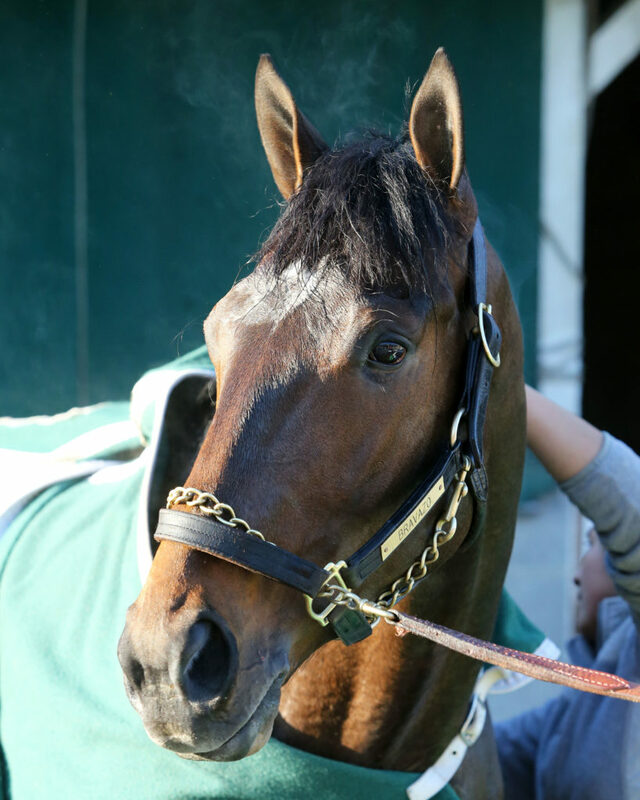 Bravazo returned to his Oaklawn base Monday morning after finishing fourth in the $9 million Pegasus World Cup Invitational (G1) Saturday at Gulfstream Park. Racing over a sloppy track, Bravazo was beaten 12 lengths by 2018 Oaklawn Handicap winner City of Light in his 4-year-old debut. Champion Accelerate, runner-up in last year’s Oaklawn Handicap, finished third. Bravazo earned $700,000 Saturday, pushing his career bankroll to $2,003,528. He opened his busy 2018 campaign (11 starts at eight tracks) with an allowance victory at Oaklawn before winning the $400,000 Risen Star Stakes (G2) at Fair Grounds in his next start. Bravazo also ran second in the Preakness (G1) and Haskell Invitational (G1). Lukas said he’s never been to the UAE. Oaklawn Handicap winner Cigar won the inaugural Dubai World Cup in 1996. Two-time Oaklawn stakes winner Curlin (Rebel and Arkansas Derby) won the Dubai World Cup in 2008. The track was rated fast for workouts Friday morning. … Grade 3 winner Warrior’s Cub is scheduled to work Saturday morning in advance of his scheduled 2019 debut in March, Hall of Fame trainer D. Wayne Lukas said Friday morning. A multiple Oaklawn allowance winner, Warrior’s Club ran eighth in the $2 million Breeders’ Cup Sprint (G1) Nov. 3 at Churchill Downs in his last start. …Hidden Ruler, an unstarted 3-year-old Gemologist colt for trainer Dallas Stewart, worked a half-mile in :49 after the renovation break Friday morning. Hidden Ruler has posted two bullet workouts this season at Oaklawn. 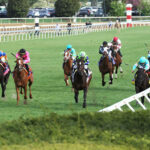 … There is a special first post time Sunday of 1:05 p.m. (Central) to accommodate the Super Bowl. Probable post time for the ninth and final race is 4:52 p.m.